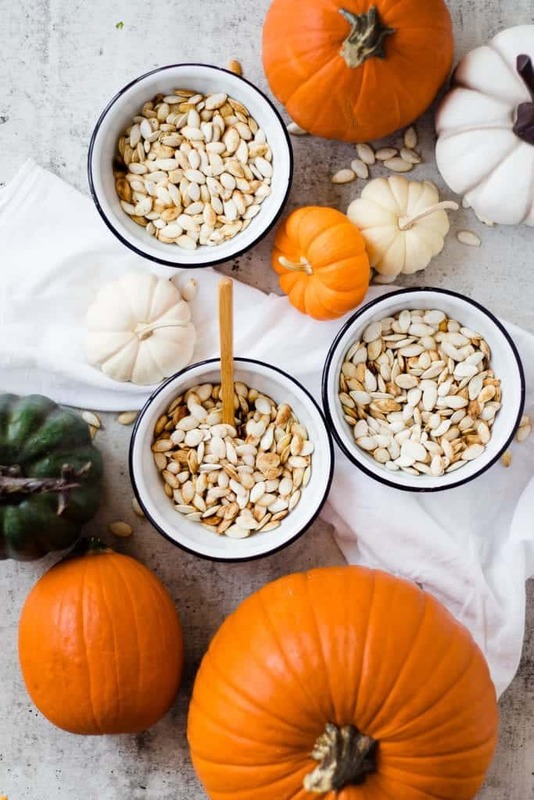 Every year when we carve our pumpkins, pull out the pulp, make silly faces in the jack-o-laterns I love to bake up some roasted pumpkin seeds for a fun crispy snack. I really love them! Mild, buttery flavor with a pinch of sea salts and its so satisfying! 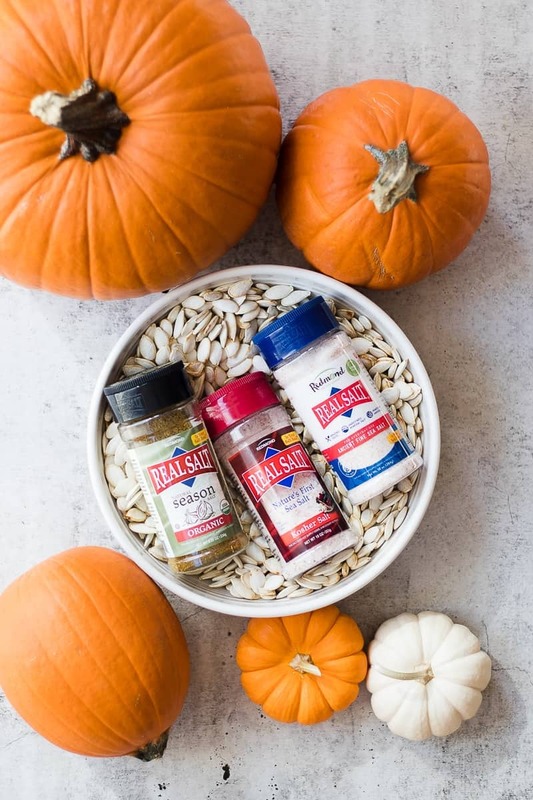 In the recent years I’ve come to really appreciate good seasonings. I did use to think salt was salt, seasoning salt was seasoning salt, bullion was bullion. HECK NO. These things can and do make a huge difference in the outcome of your dishes. If you don’t believe me buy a handful of salts (we did this at home, with my kids!) and taste test them! Dip a tiny bit of your finger in to a salt and taste each one plain. You will totally tell the difference. Redmonds Real Salt won the salt taste test hands down! We love this stuff. I have all the links for amazon right here. If you are in the US mountain west you can find it at a ton of stores! Pulling out the pulp has got to be the least fun job right? Honestly the little plastic spoons you find in the store isles are the best tools for the job! They have little serrated edges that clean it right up. Separating the seeds is pretty easy. 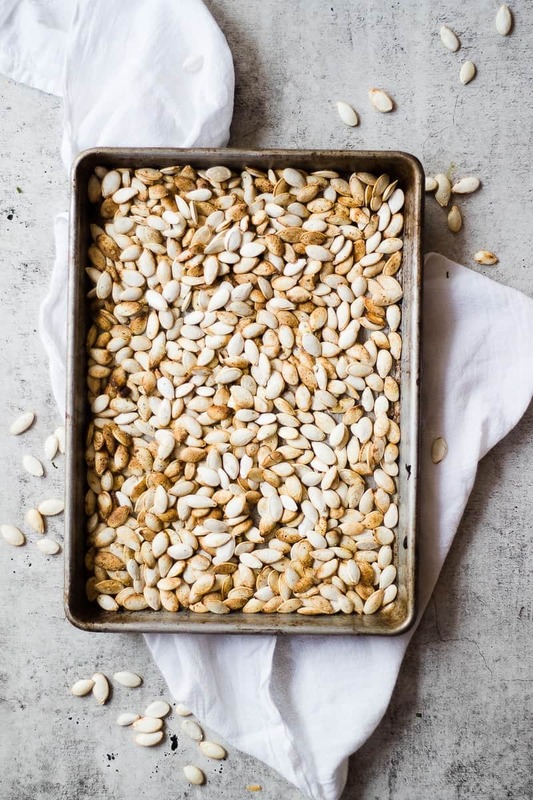 Rinse off your seeds and let them dry. After they have dried, toss them in a little butter, (or use coconut oil for little bit of a healthier option). 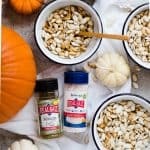 This not only gives it a delicious flavor but also help crisp them up when they’re in the oven. 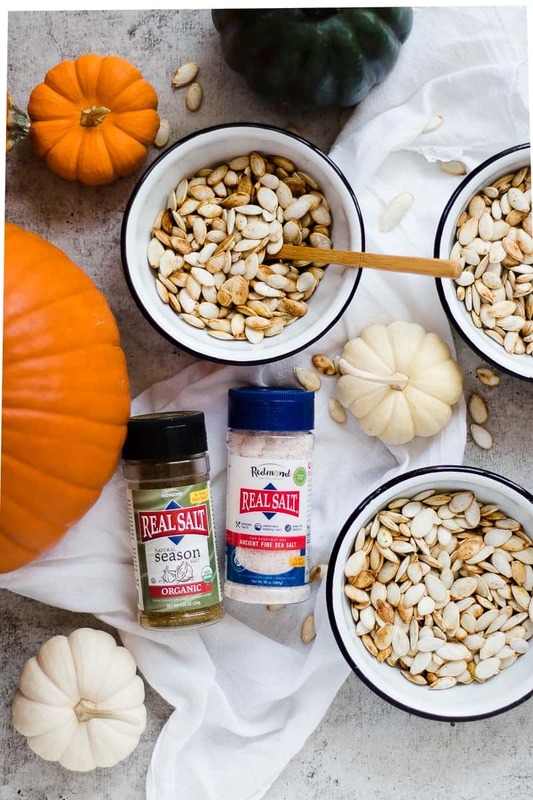 Lay them single later on a sheet pan and sprinkle the best salts! I love to use sea salt and a little bit of seasoning salt. Remond’s is my favorite! Let them cool and eat them up! We love to leave them out on the counter for a healthy little snack or pack them in lunches or little baggies while we run our errands. The kids love the crunchy saltiness and novelty of eating pumpkin seeds! 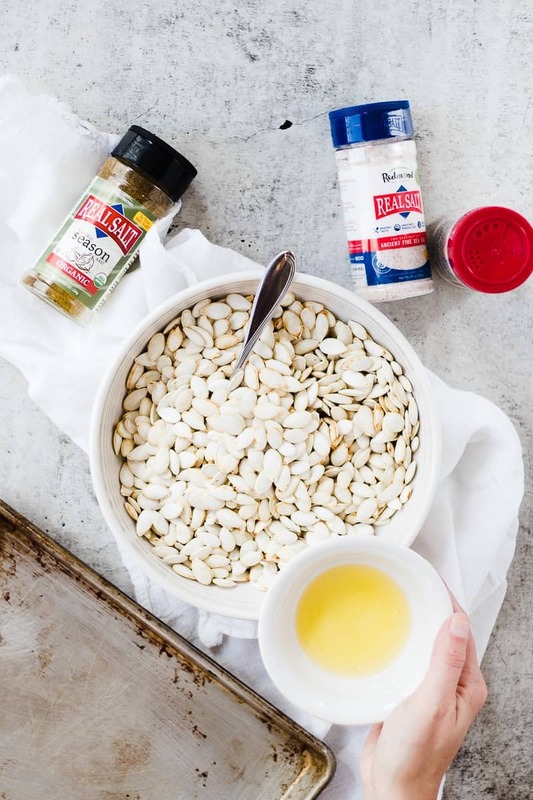 It’s such a fun family recipe to make with your kids too! 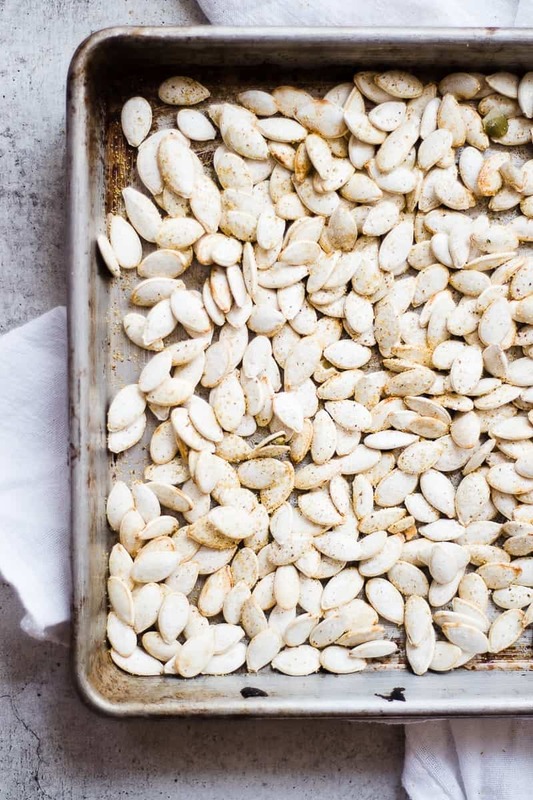 Bake up some roasted pumpkin seeds for a fun crispy snack. 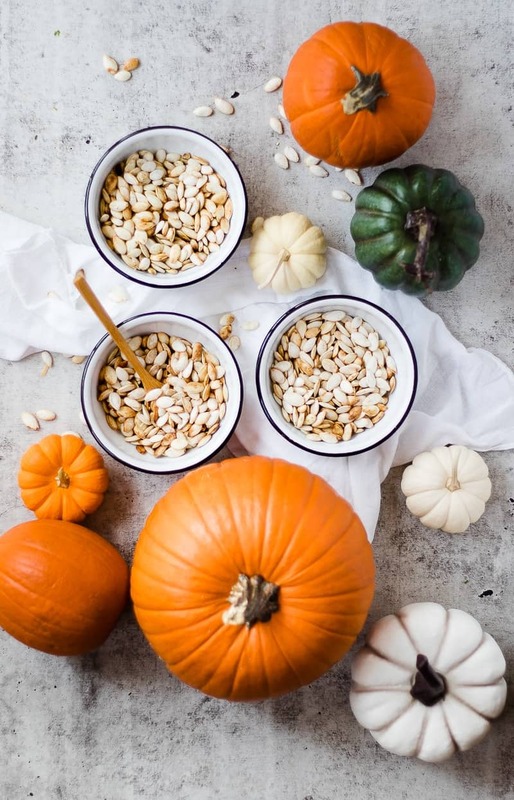 Separate pumpkin seeds from pulp and rinse. Spread on towel and let dry. Toss in melted butter or coconut oil. seeds will keep in an air tight container for 1 week. snackin’ on these makes me feel so dang healthy during the fall!